Receipt management is easy with SutiExpense. Simply capture the receipt, email it to your account, and it saves in your receipt repository so you’ll never lose a receipt again. You no longer need to manually enter receipt data into reports. 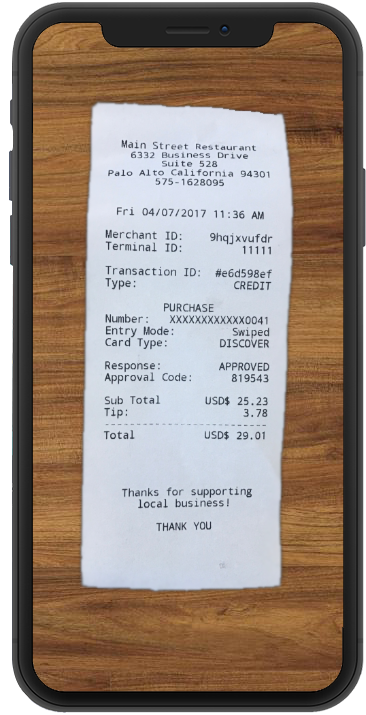 Simply scan your receipts and get the data auto-populated into the expense report using our Optical Character Recognition (OCR) technology.